Sapphire Rings from AfricaGems - An Exquisite Collection of Fine Sapphire Rings featuring the Finest Quality Sapphire Gems. 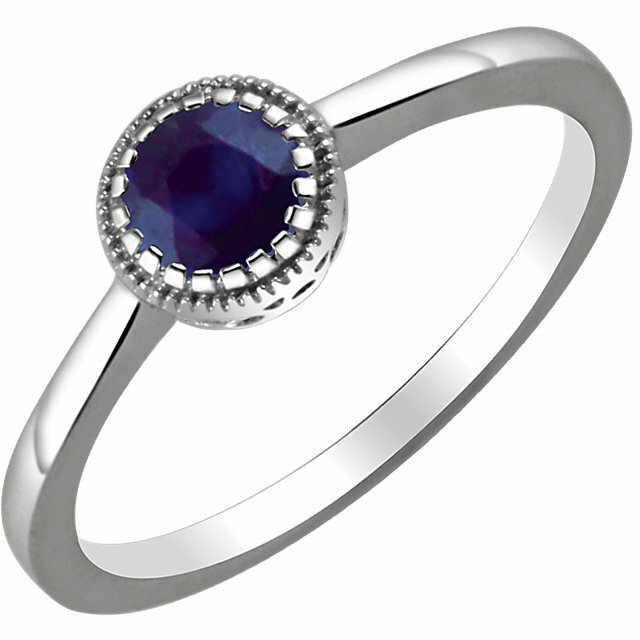 Like our stunning selection of blue sapphire and pink sapphire loose gemstones, our selection of Sapphire rings is both vast and unique. Our selection of Sapphire gemstone rings are extremely popular due to their beauty, durability, quality, and wide selection of sapphire colors and sizes. 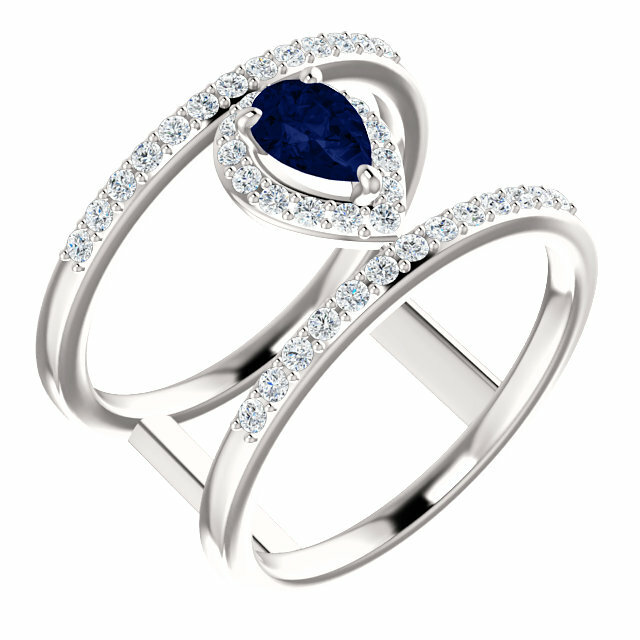 The extraordinary quality of our sapphire gemstones, diamond accents and workmanship all combined to create truly fabulous sapphire ring masterpieces. 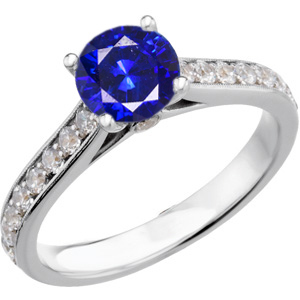 We offer handmade, custom designed sapphire rings featuring the very highest standards of jewelry workmanship and materials. 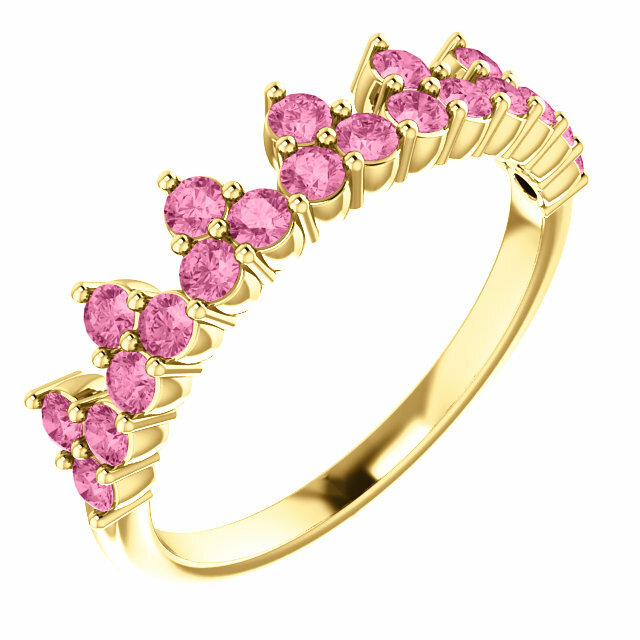 We also have a wonderful selection of unique diamond mountings made up in 18 karat gold (white, yellow and rose) with unique colored gemstones and various types of intricate metal finishing. 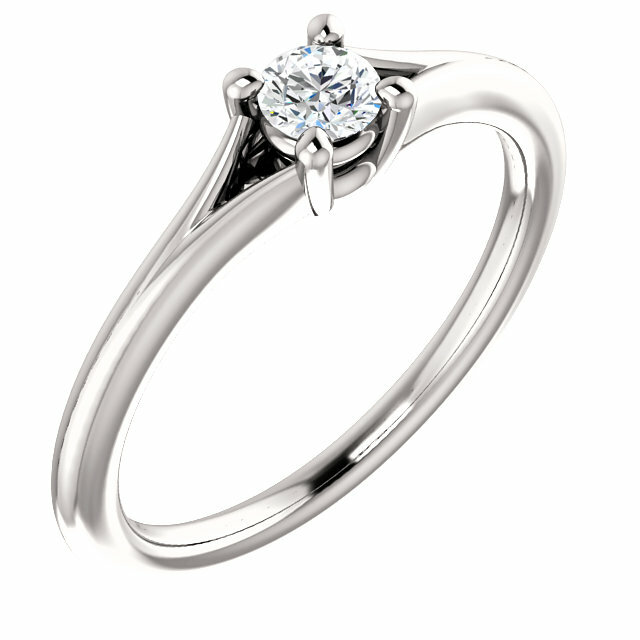 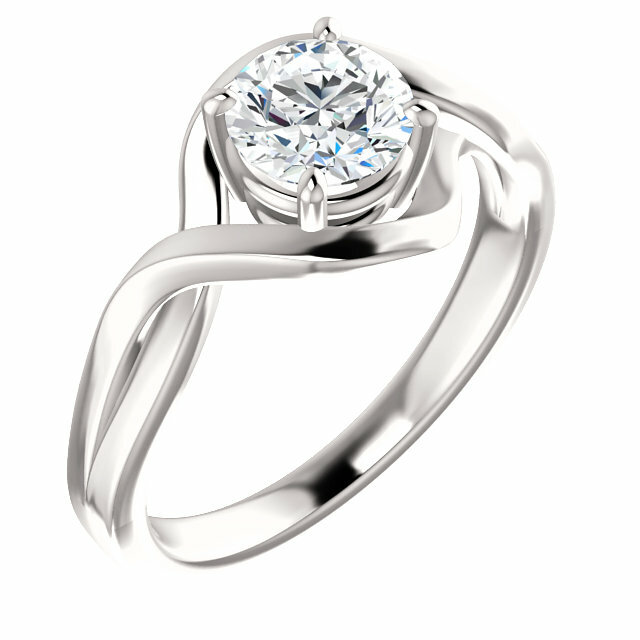 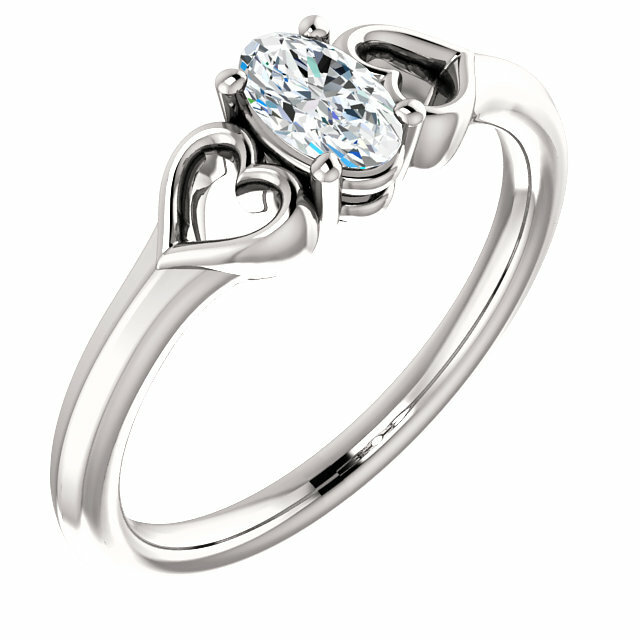 Many of these ring mountings feature beautiful micro pave diamond setting. 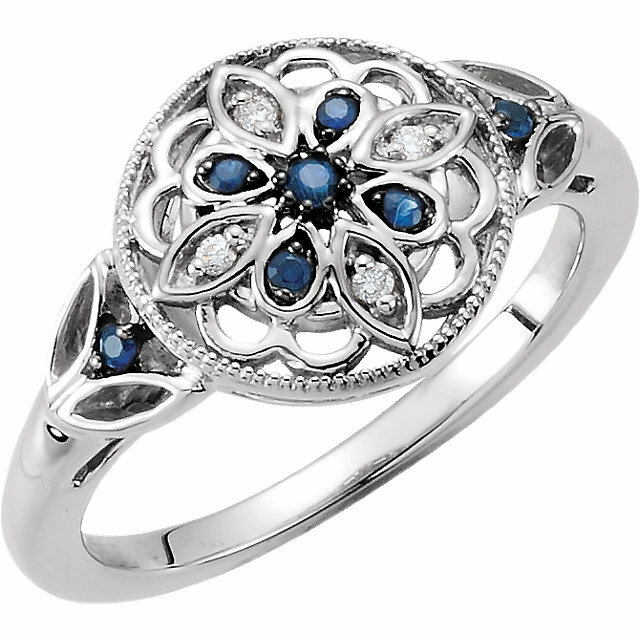 This unique line has complimentary pendants, earrings and bracelets that are made in the same style. 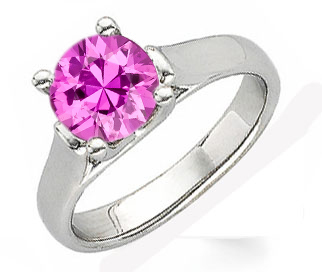 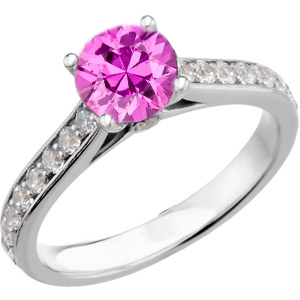 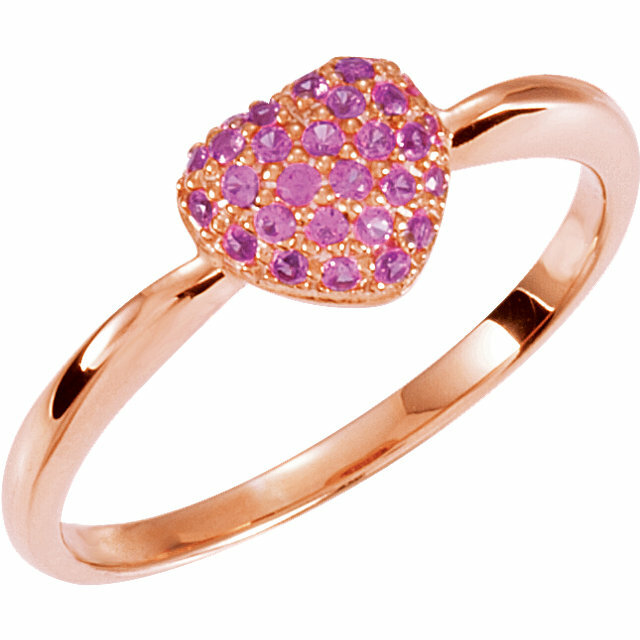 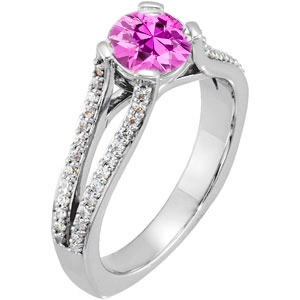 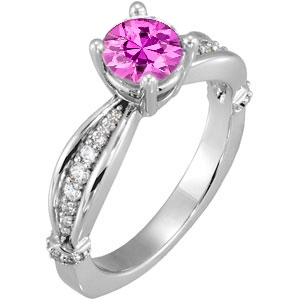 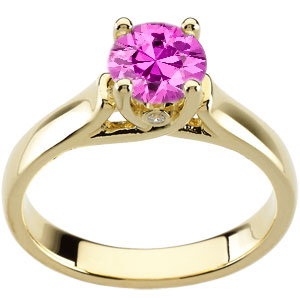 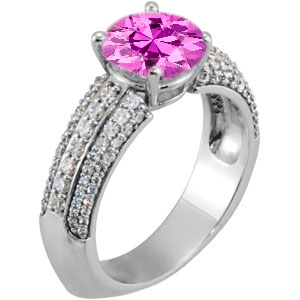 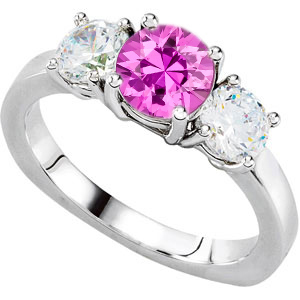 Our selection of sapphire rings include blue sapphire rings, pink sapphire rings, yellow sapphire rings, padparadscha rings, purple sapphire rings and multi colored sapphire rings. 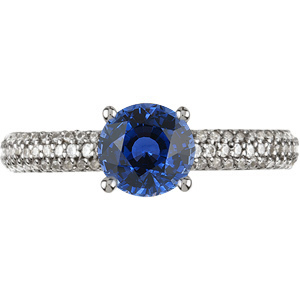 Blue sapphire jewelry has played a key role in the life of royal families for millenniums. 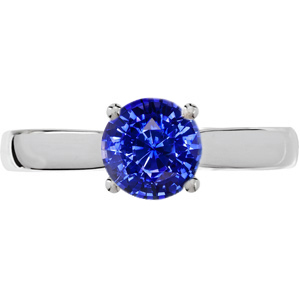 Whether it�s the Persians from centuries before or even the English royal family in the twentieth century, blue sapphire jewelry has played a part in their lives. No matter the setting � yellow gold, white gold or platinum - these gemstone rings and other jewelry awe and amaze people year after year. 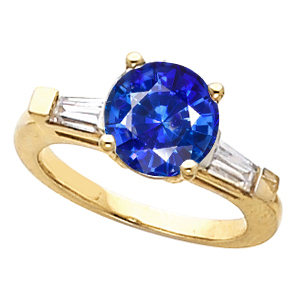 That�s why blue sapphire jewelry is a favorite with royalty and even the �commoners� today. Persians, Buddhists and even the Catholic Church all realized the beauty of blue sapphire jewelry. 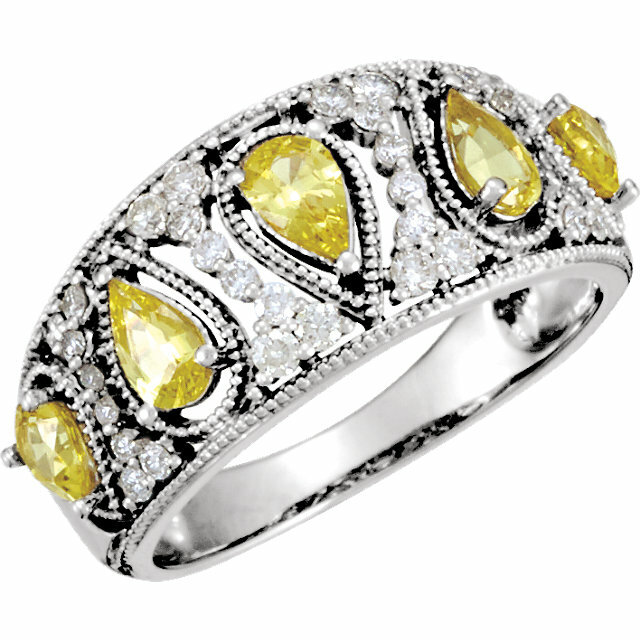 In fact, it was so beautiful they all believed it had supernatural powers that included healing, loyalty, strength and protection. 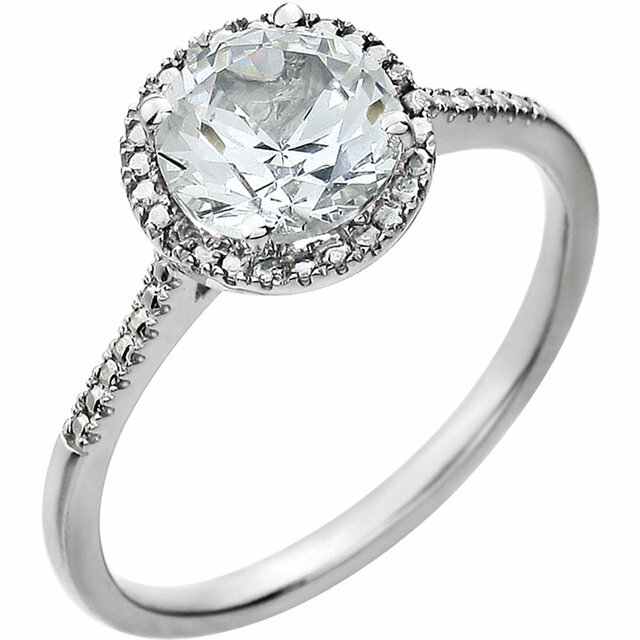 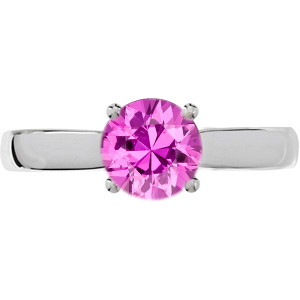 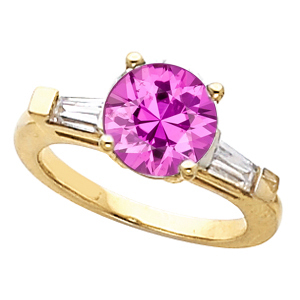 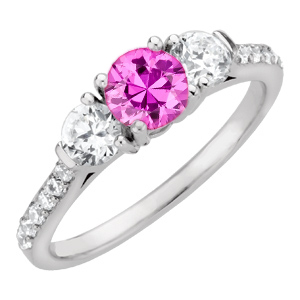 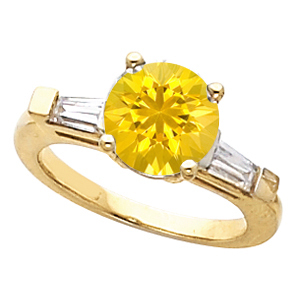 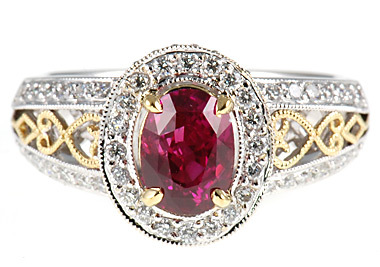 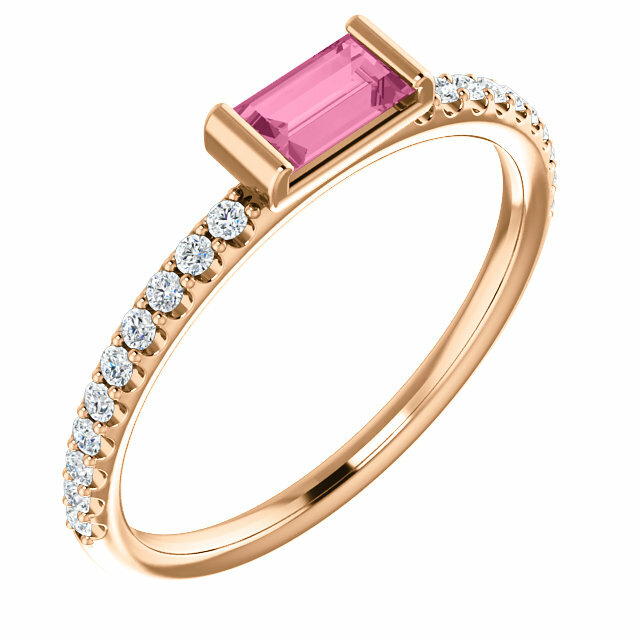 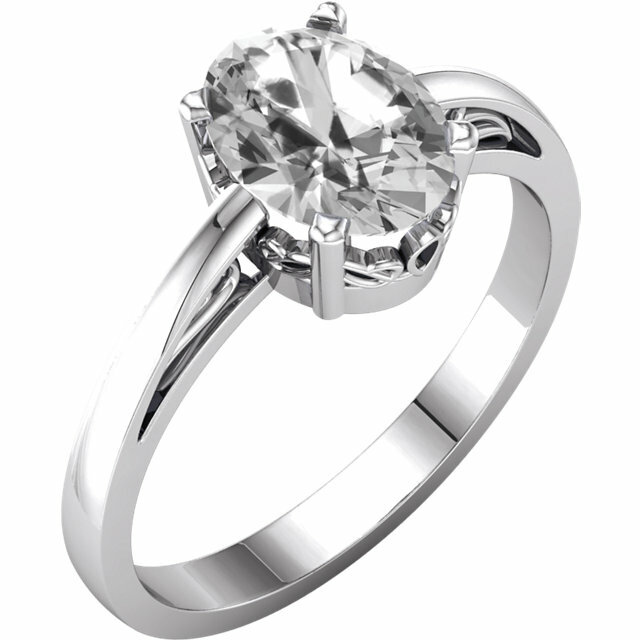 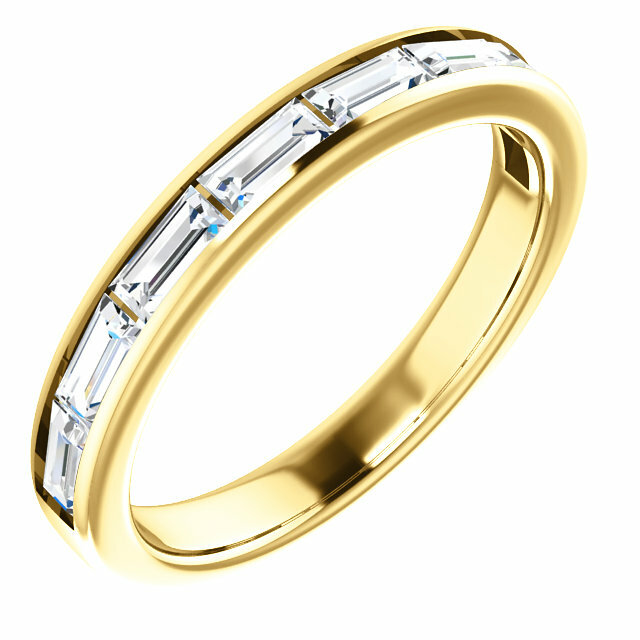 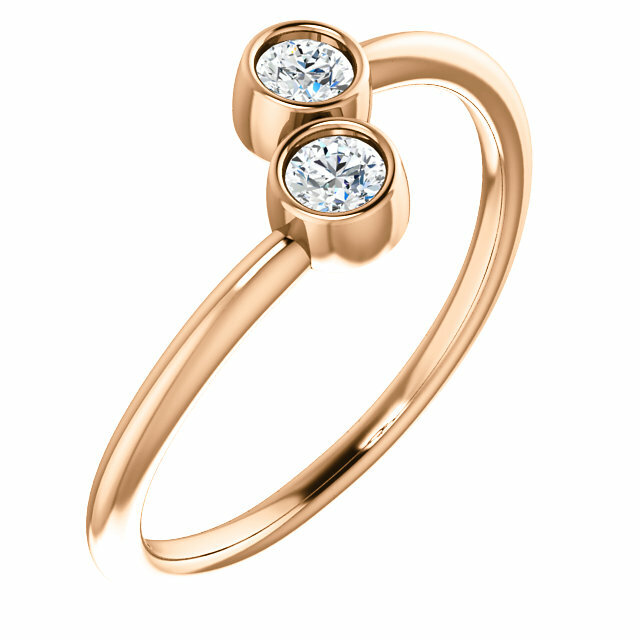 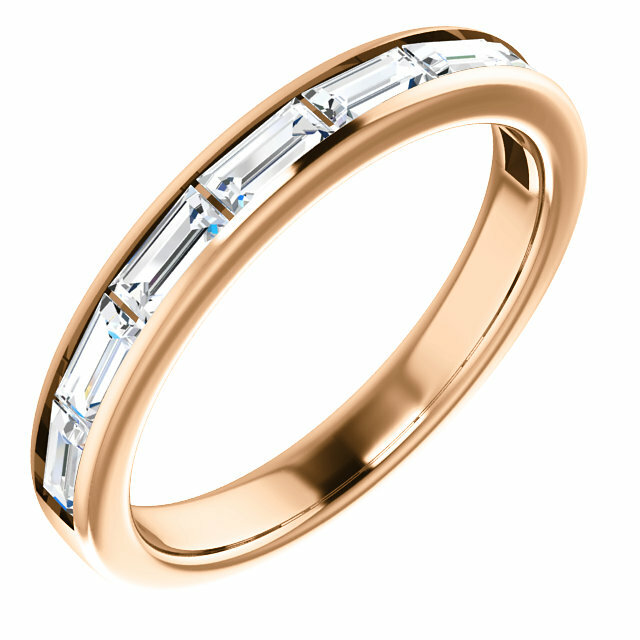 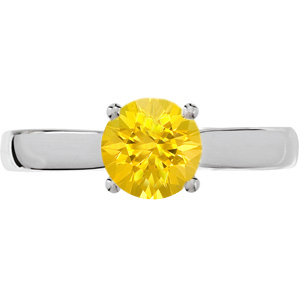 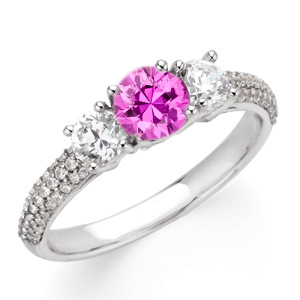 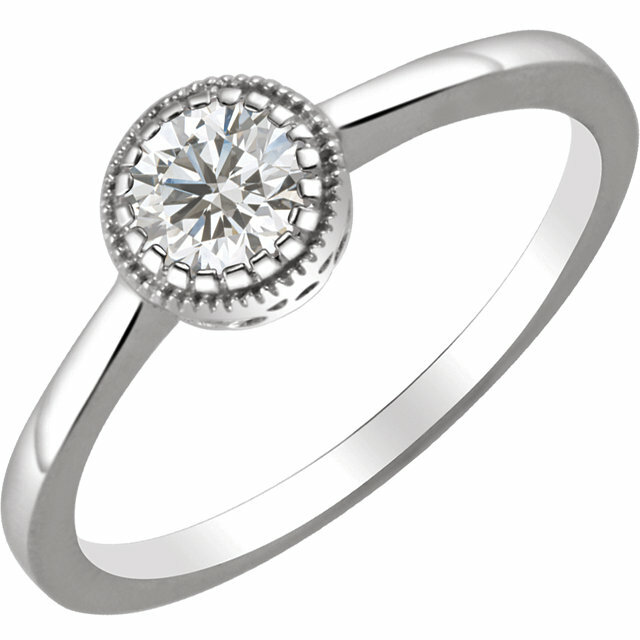 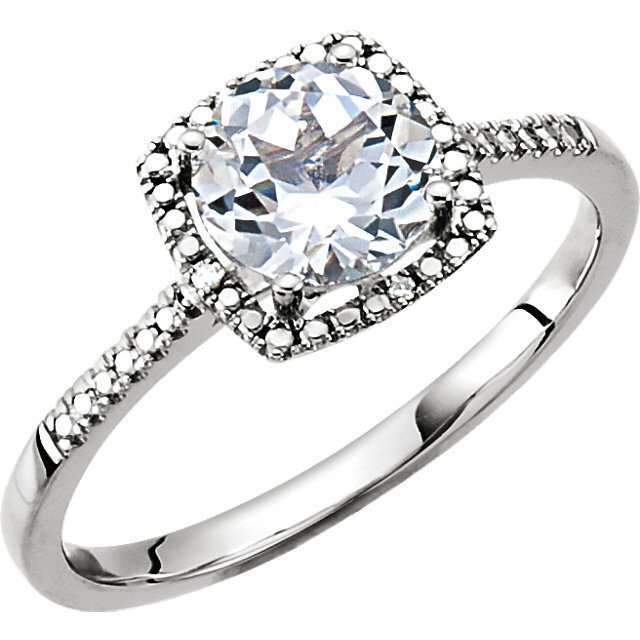 In more recent times, England�s royal family used it as the engagement ring stone of choice. 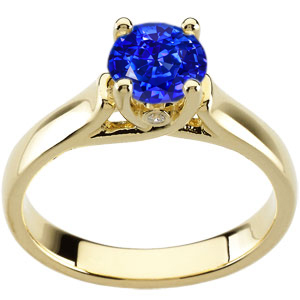 Prince Phillip gave Queen Elizabeth a sapphire engagement ring, as did his son Prince Charles when he asked for Princess Diana�s hand. 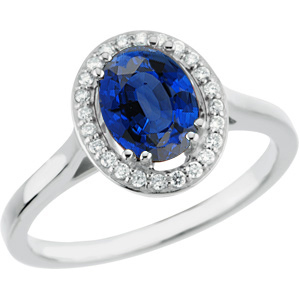 That said, it�s no wonder why people today look to blue sapphire jewelry as a gift for their loved ones. 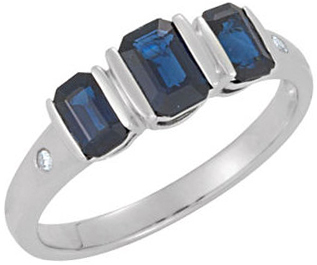 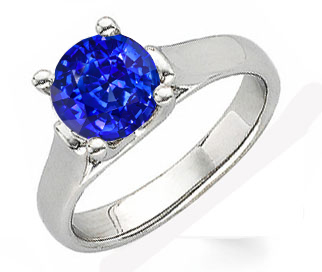 Blue sapphire jewelry can vary greatly. 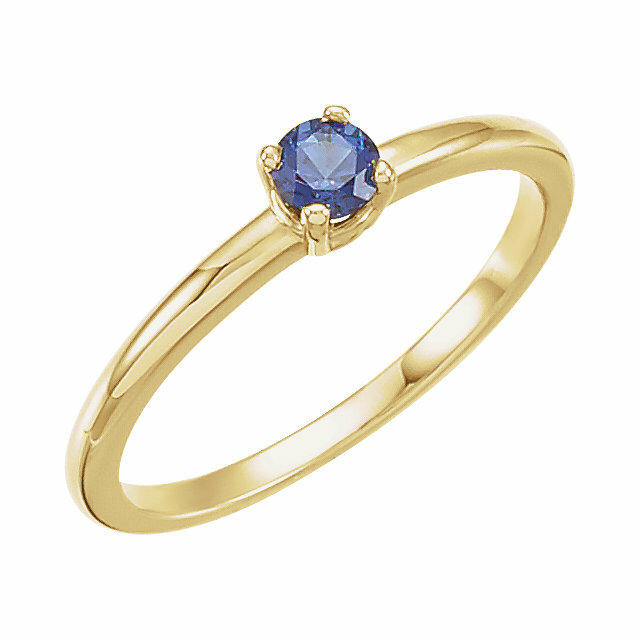 It can be a stand-alone piece with blue sapphires alone or it can also contain other gems. 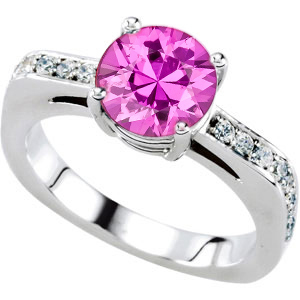 For example, mothers and grandmothers often like jewelry, be it rings or necklaces, that include the colors of their children or grandchildren�s birthstones respectively. 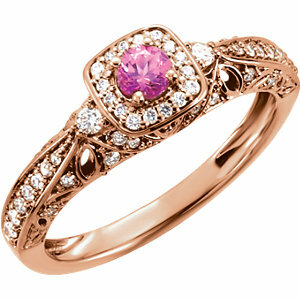 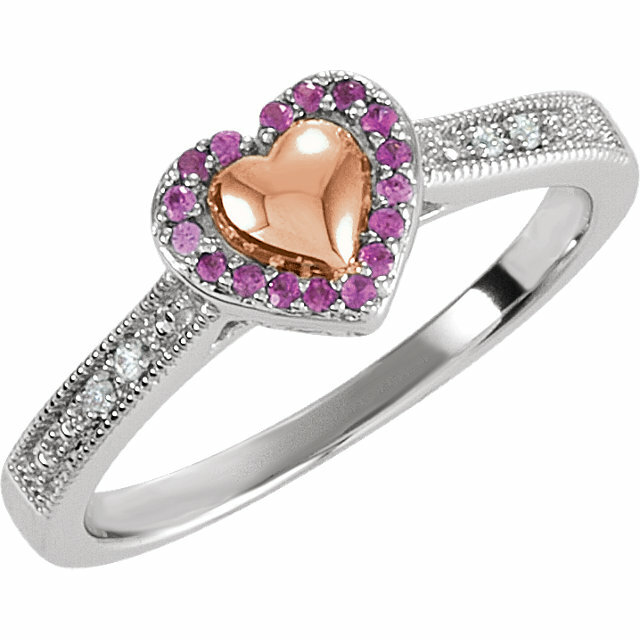 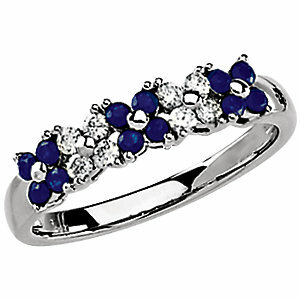 Another favorite are diamond sapphire rings. 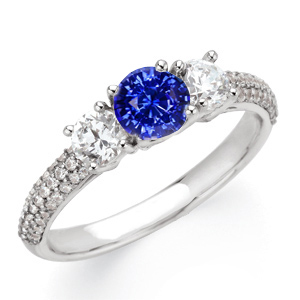 Diamond sapphire rings combine both diamonds and blue sapphires . In the proper arrangement they can look positively stunning. 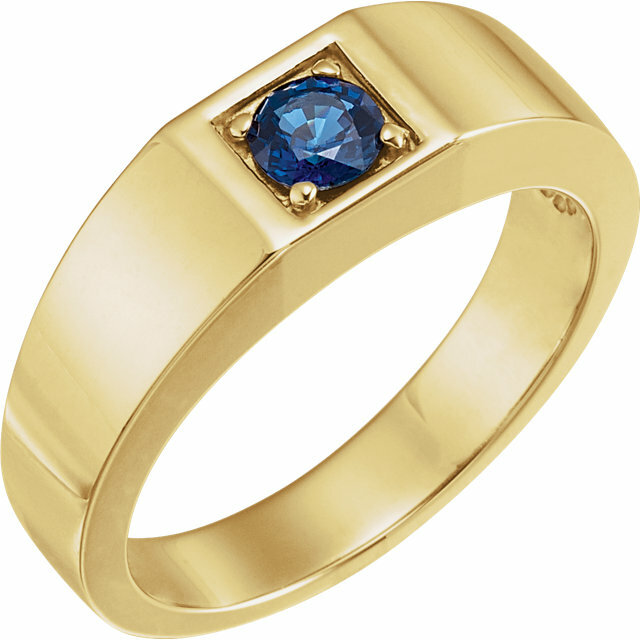 Although yellow gold can be used, a sapphire platinum ring seems to show of the brilliance of the blue stone much better. 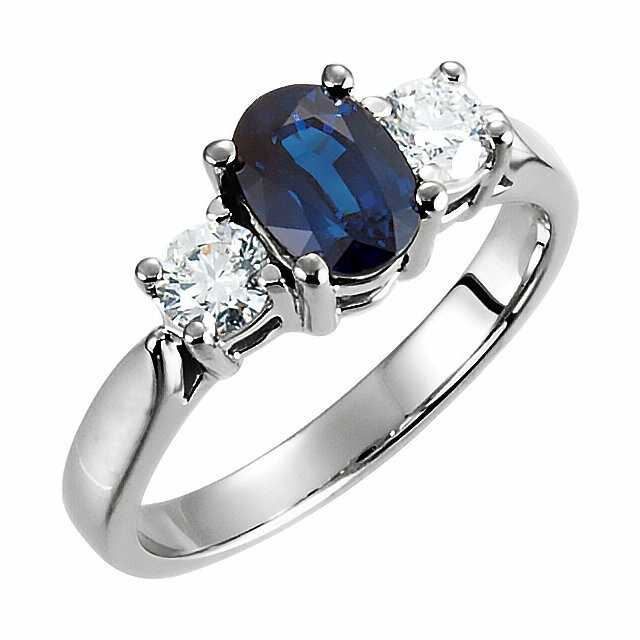 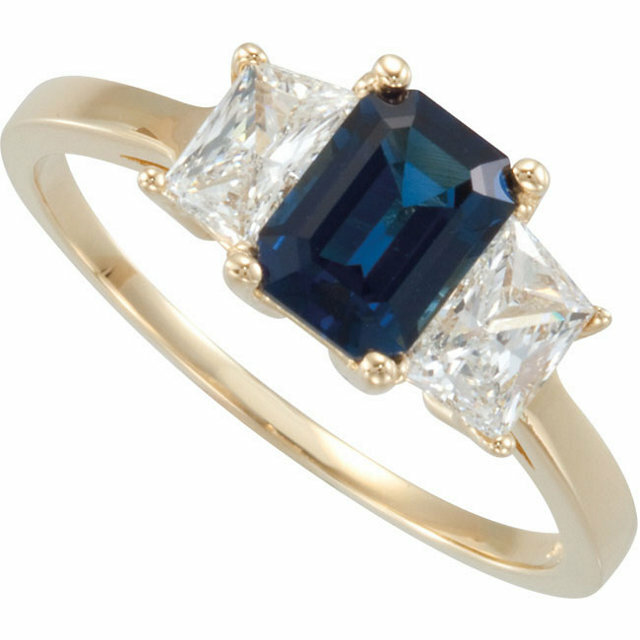 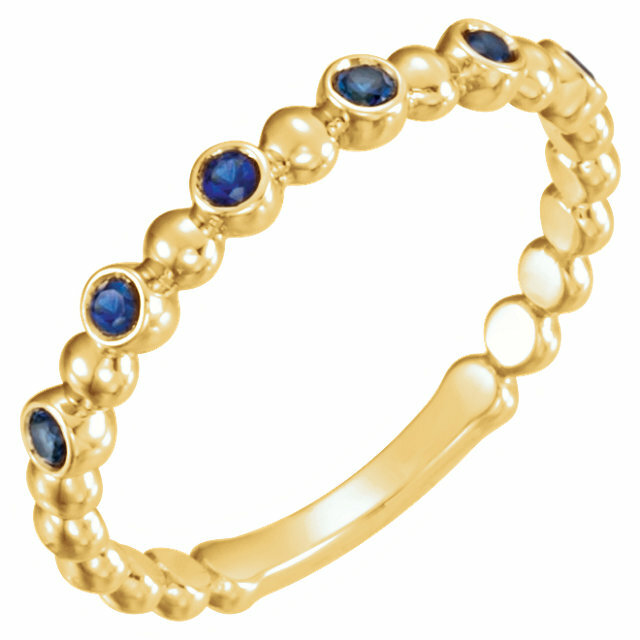 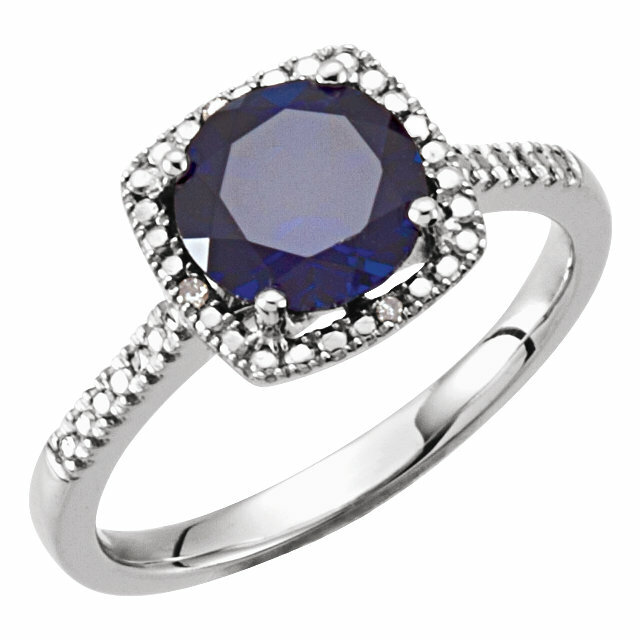 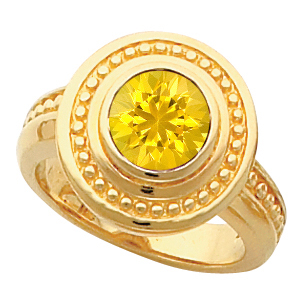 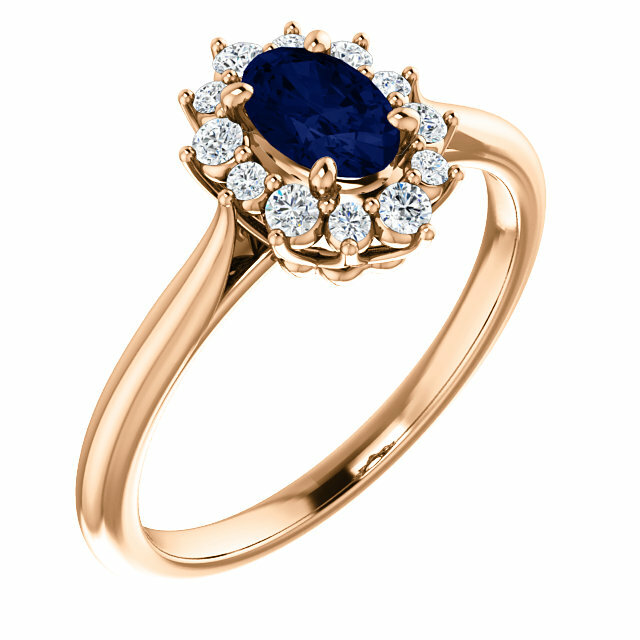 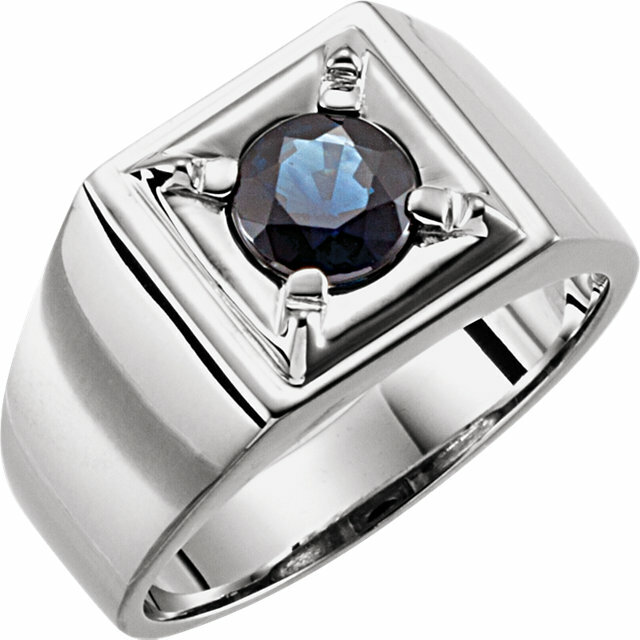 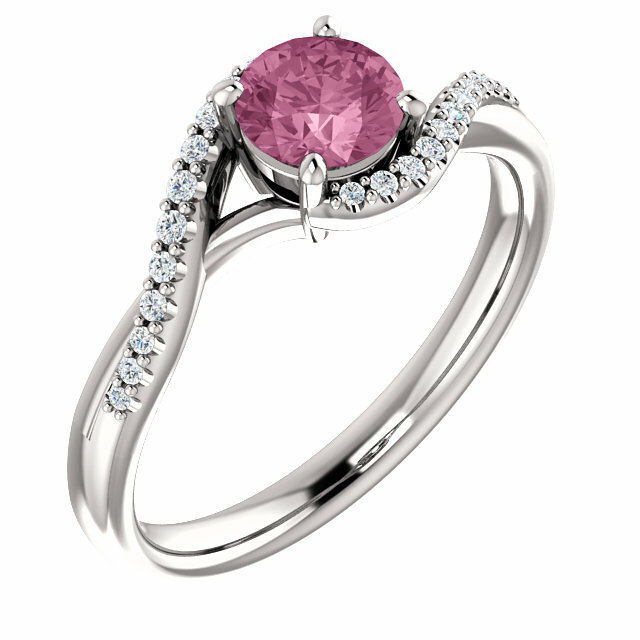 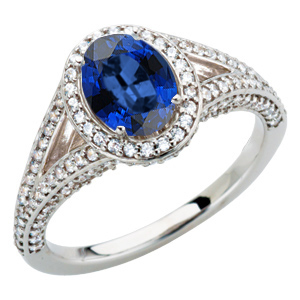 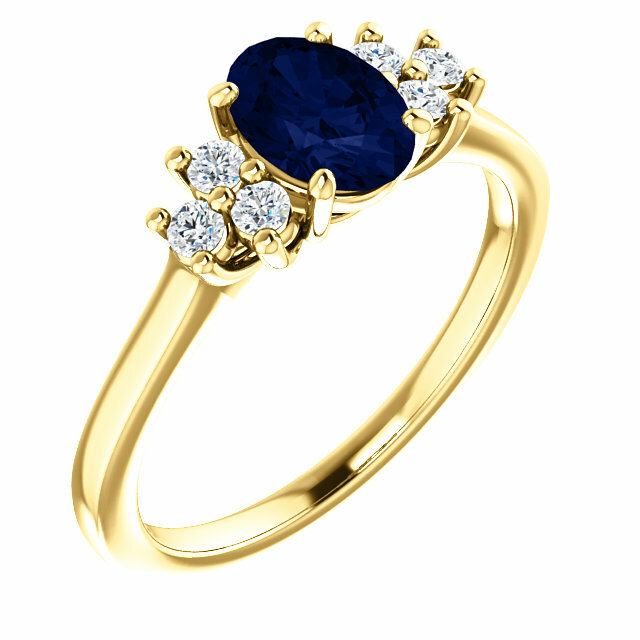 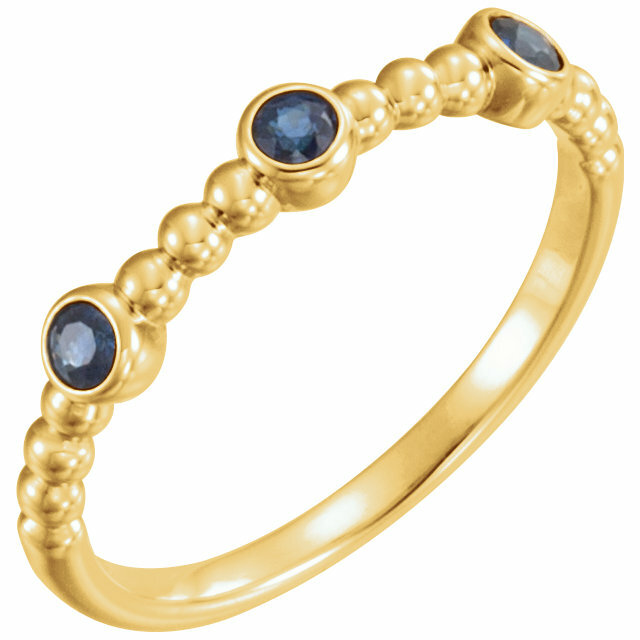 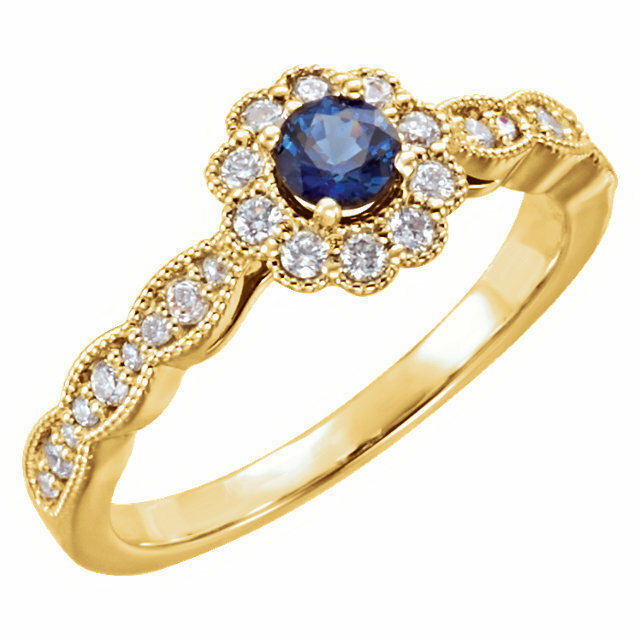 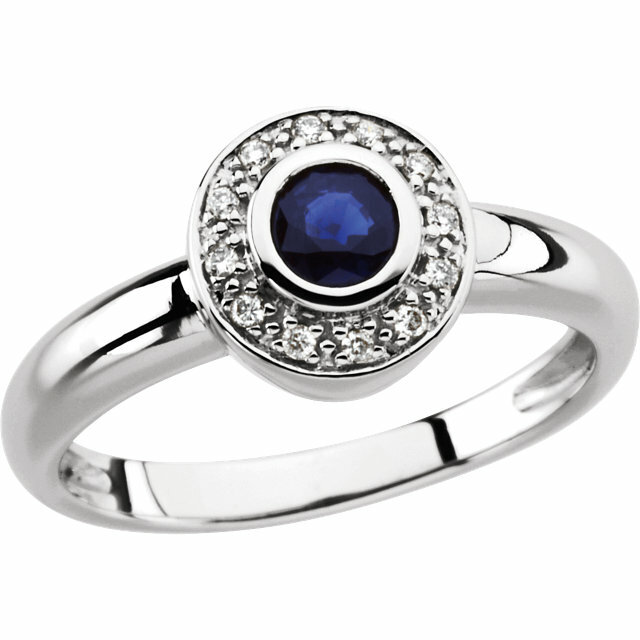 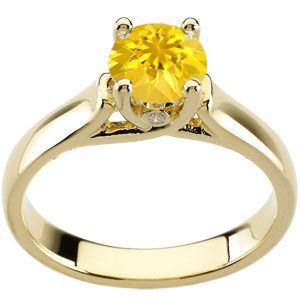 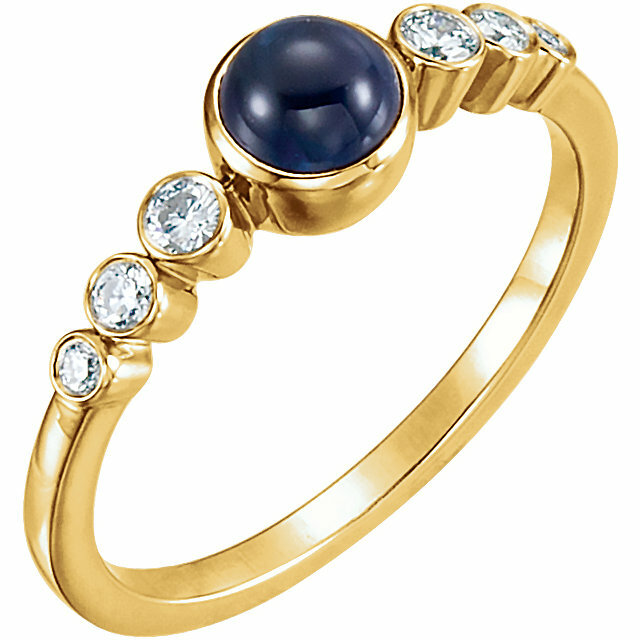 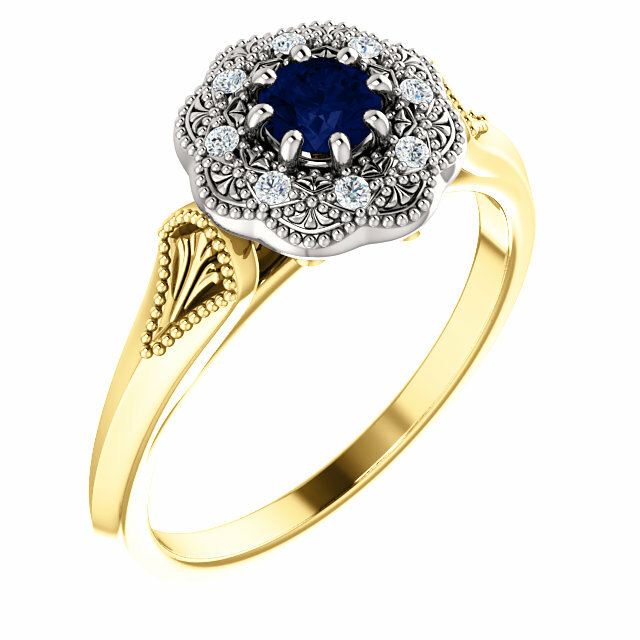 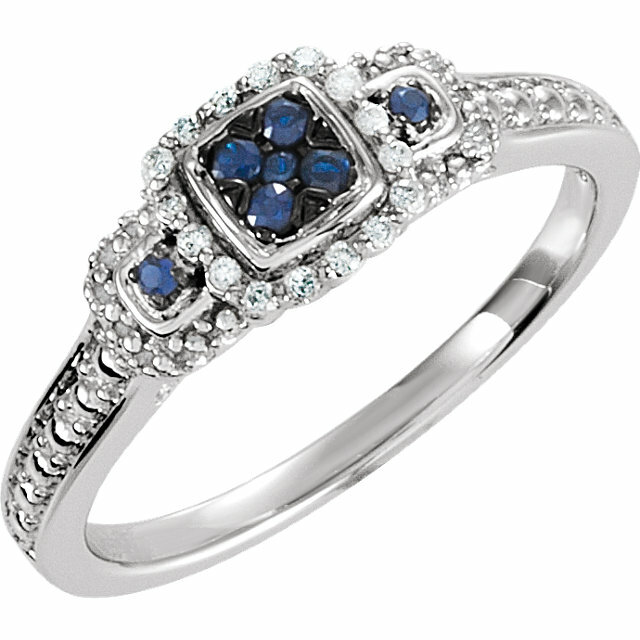 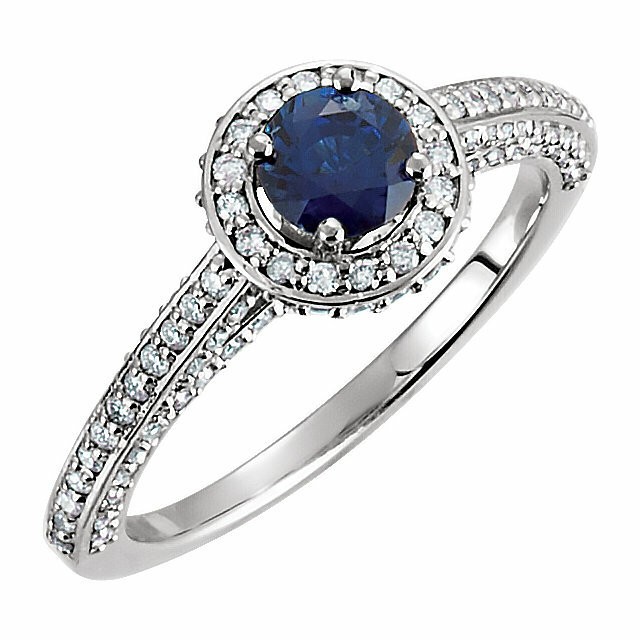 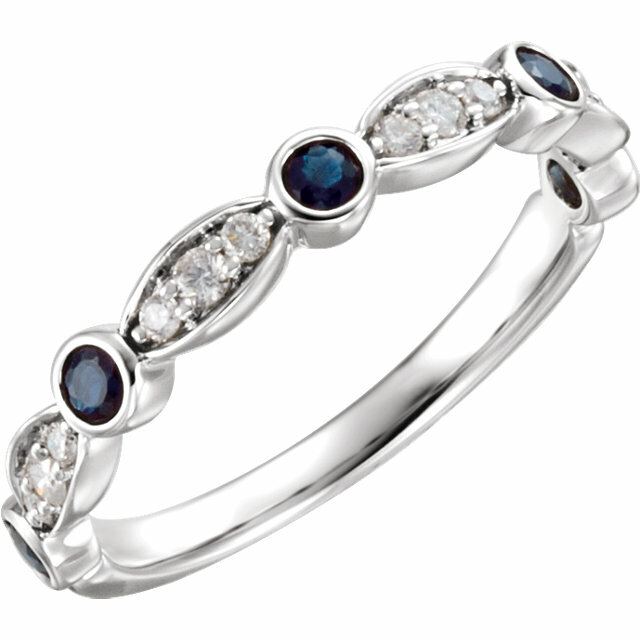 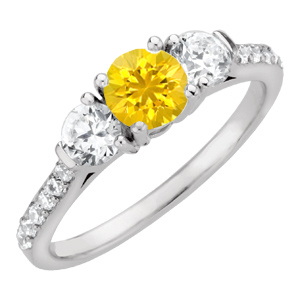 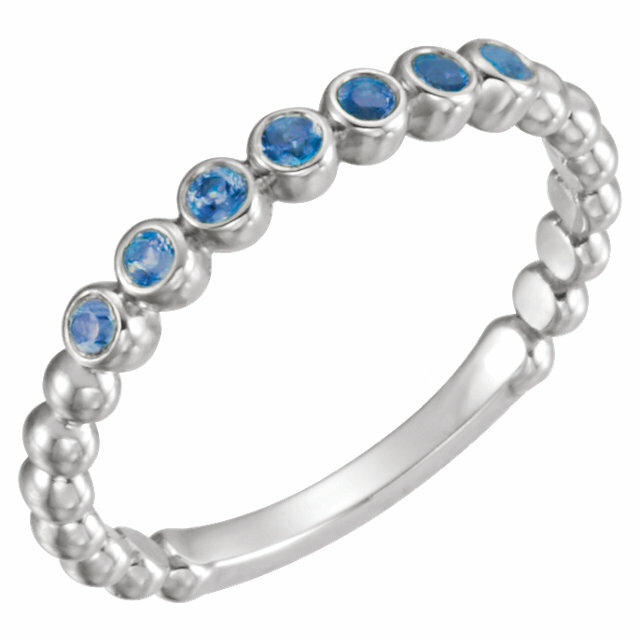 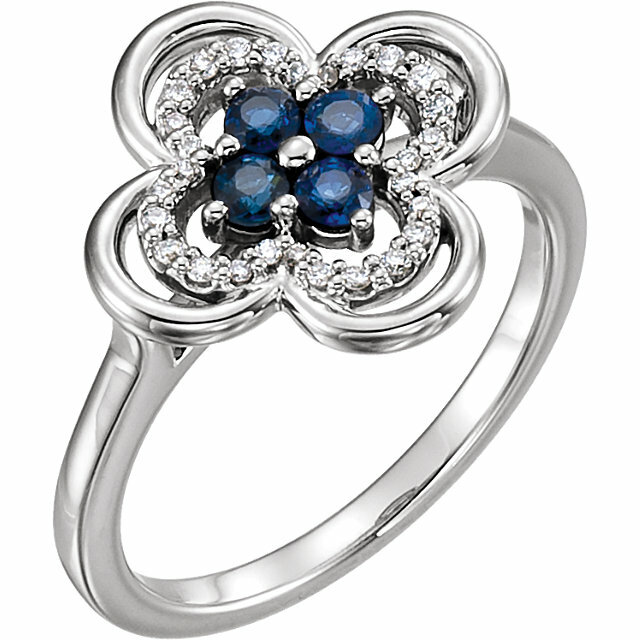 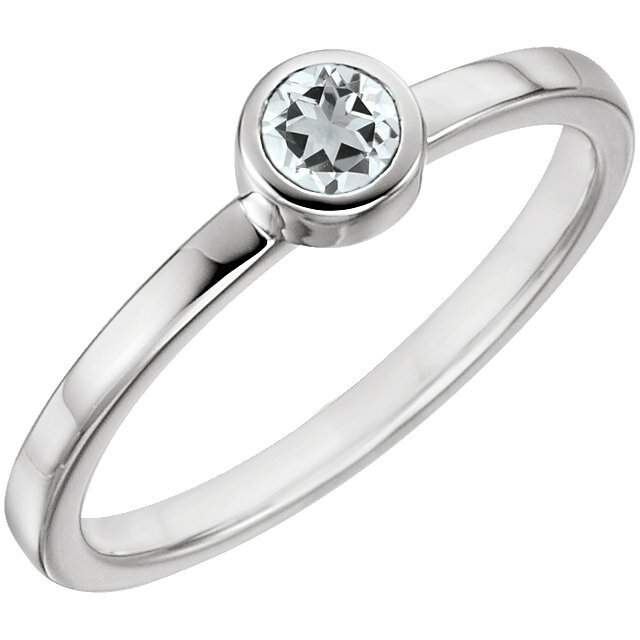 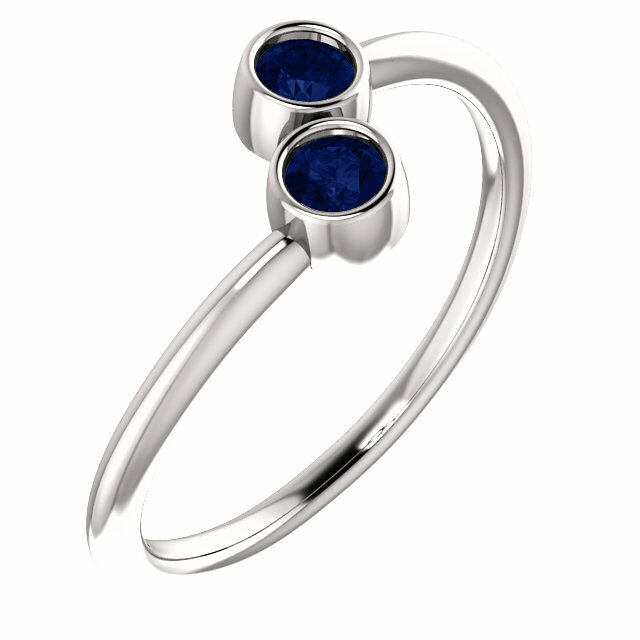 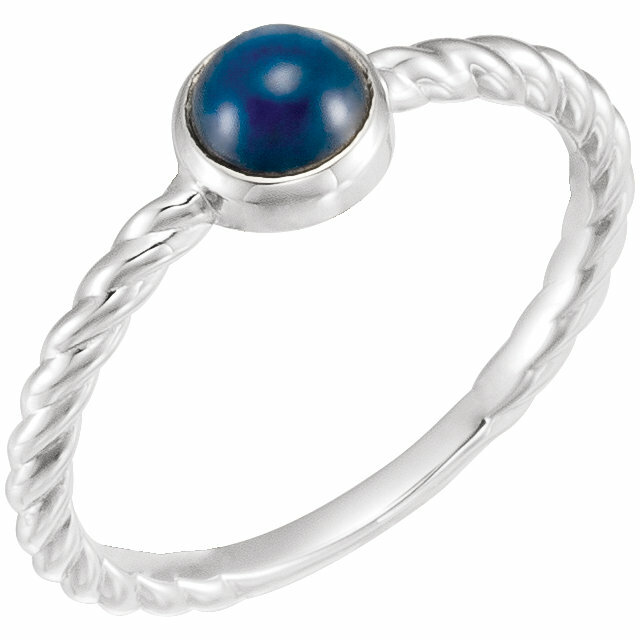 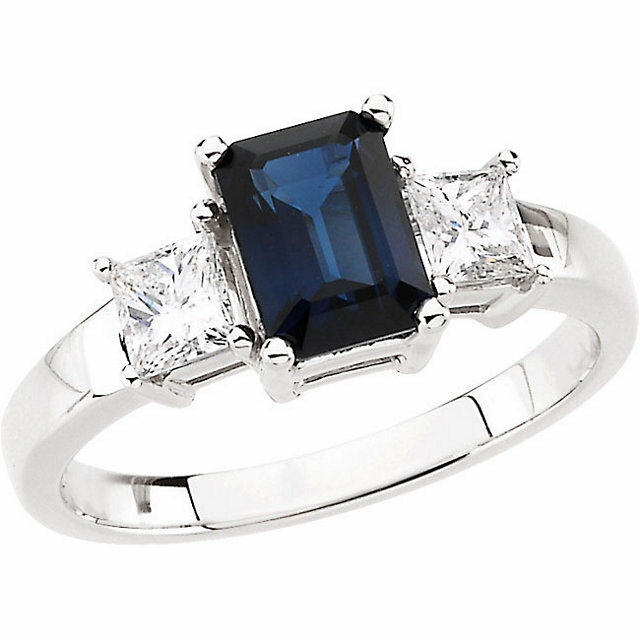 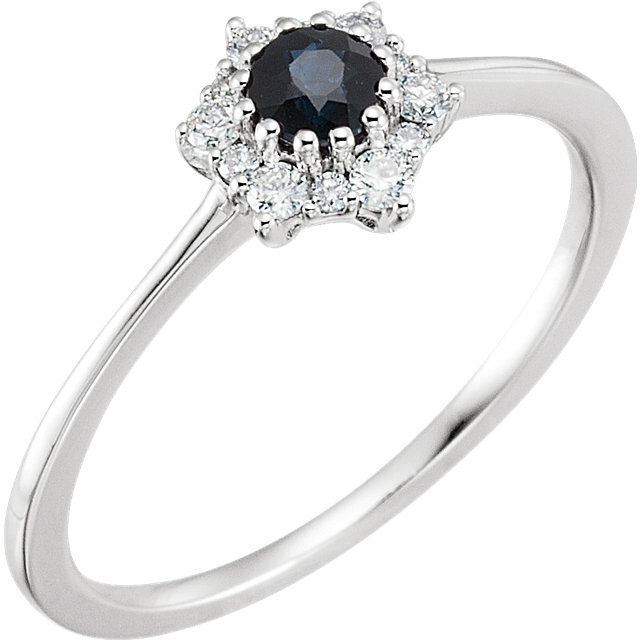 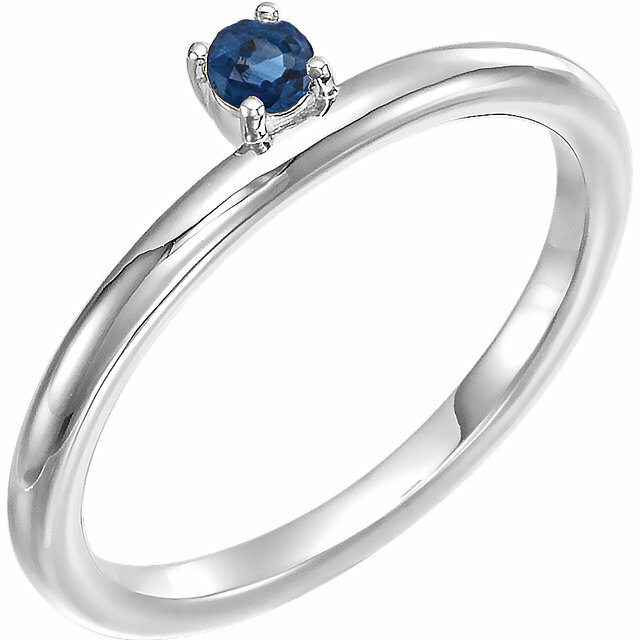 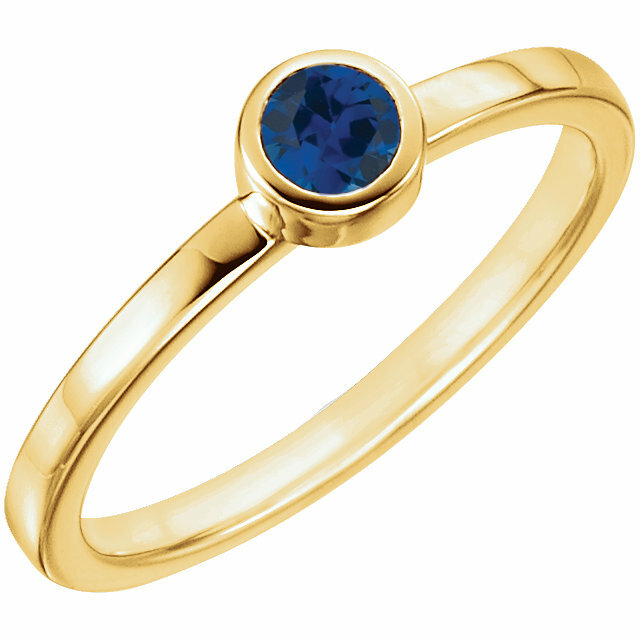 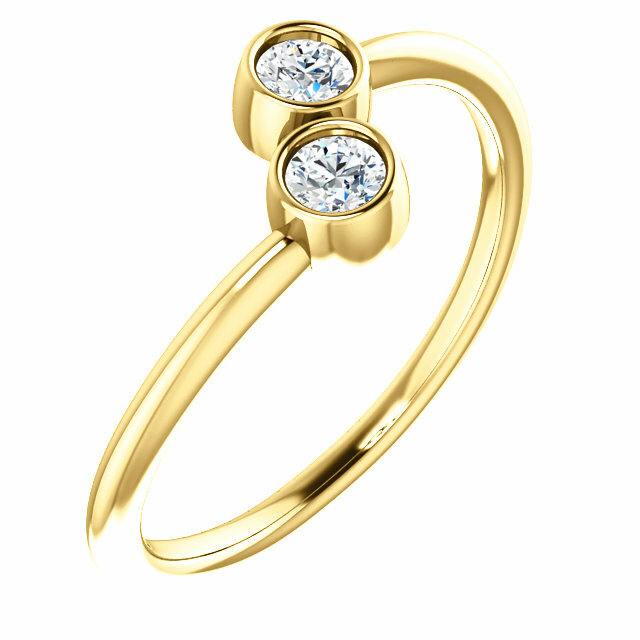 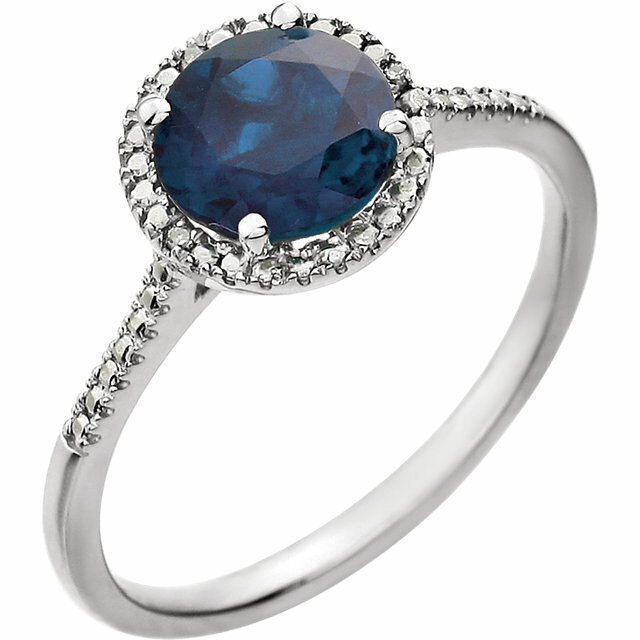 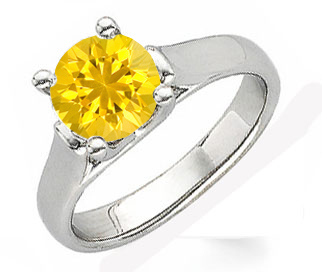 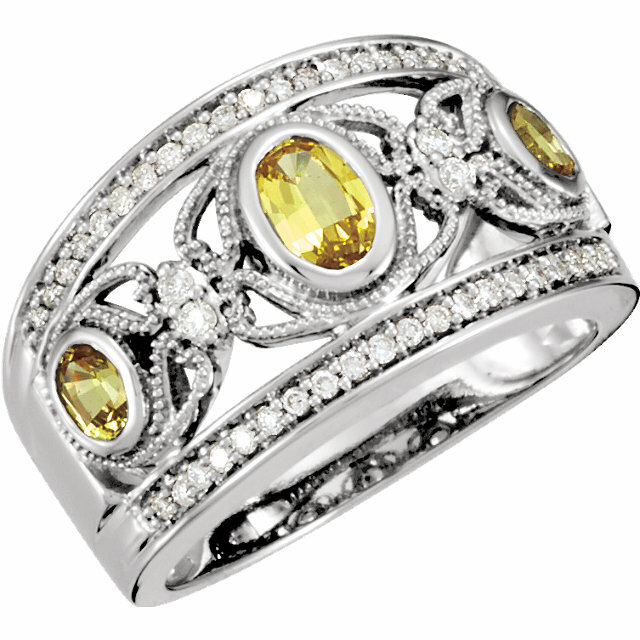 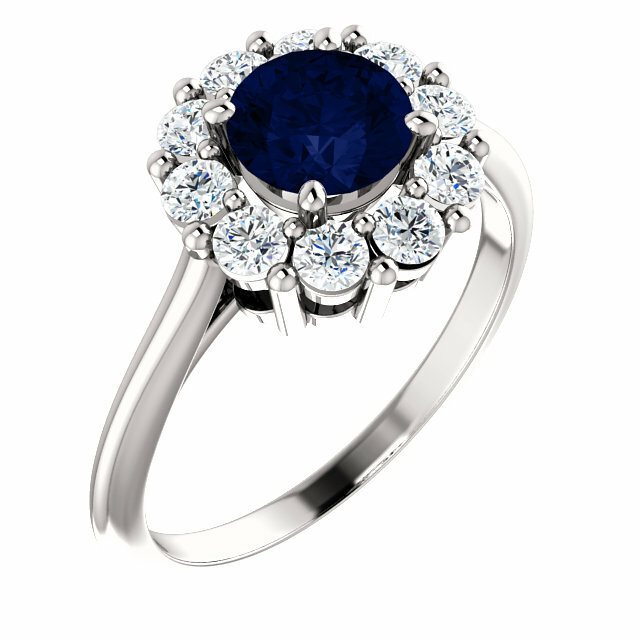 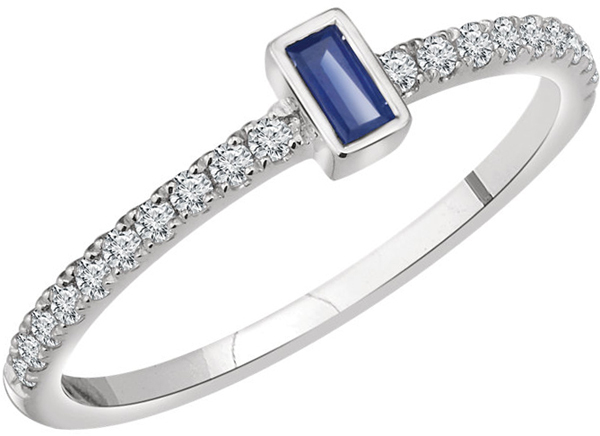 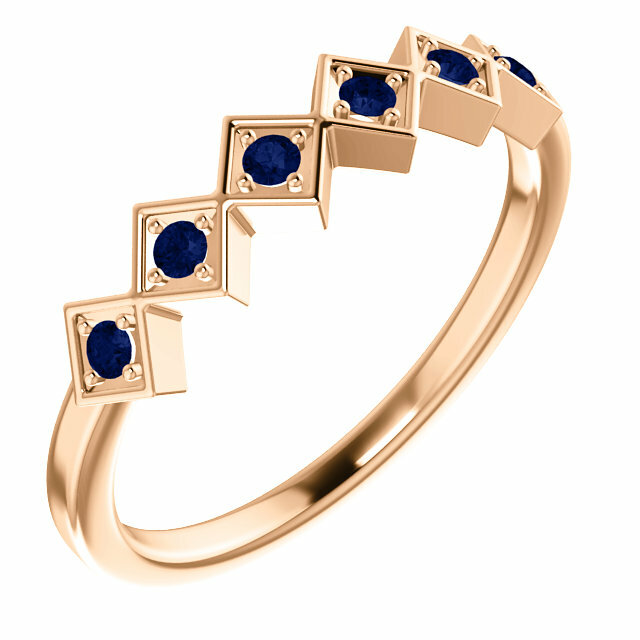 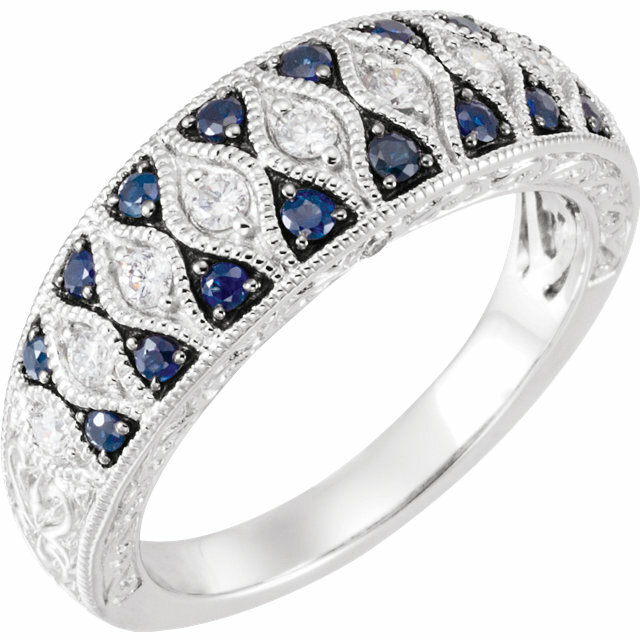 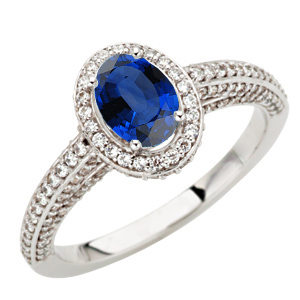 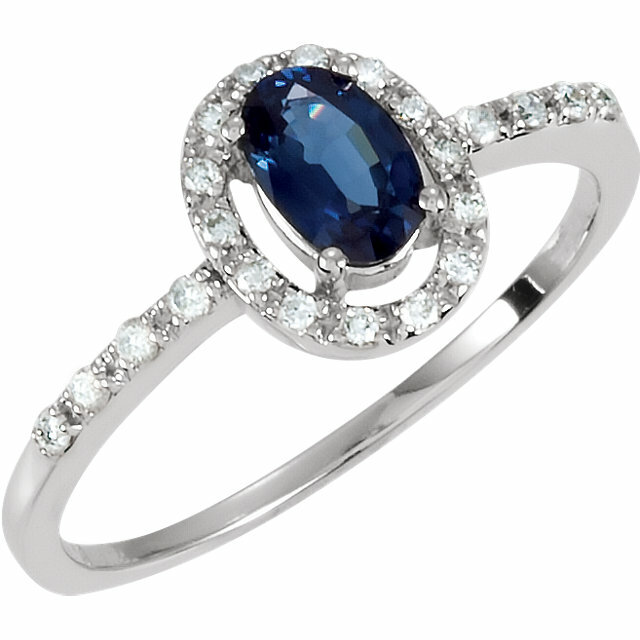 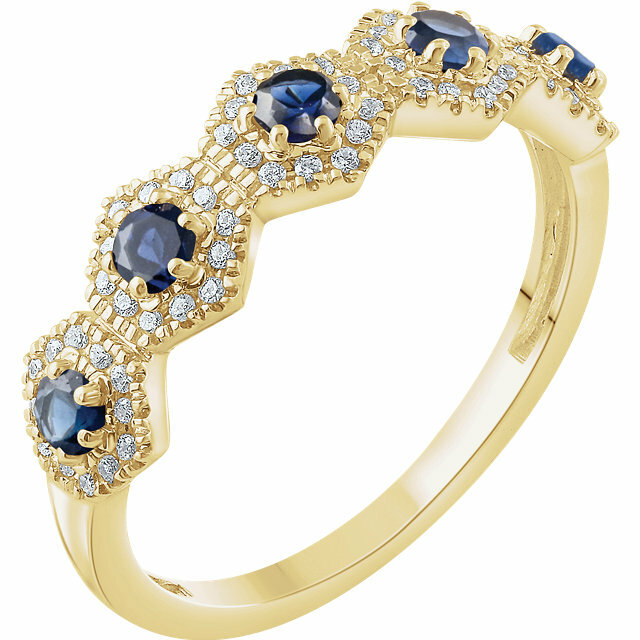 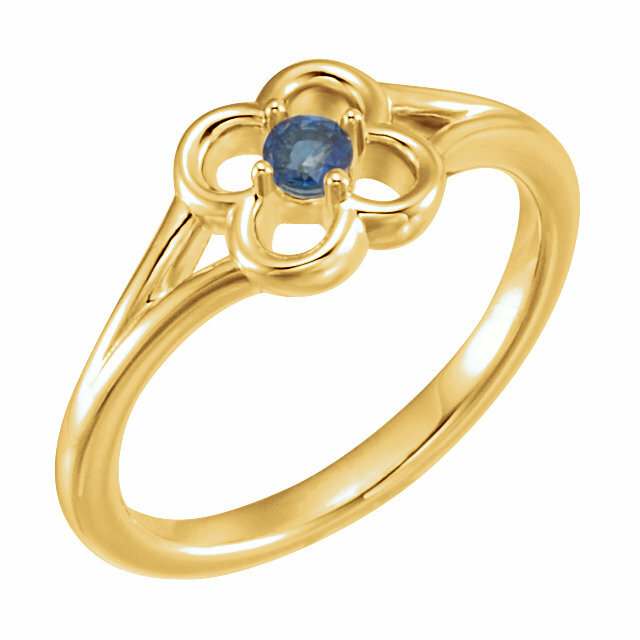 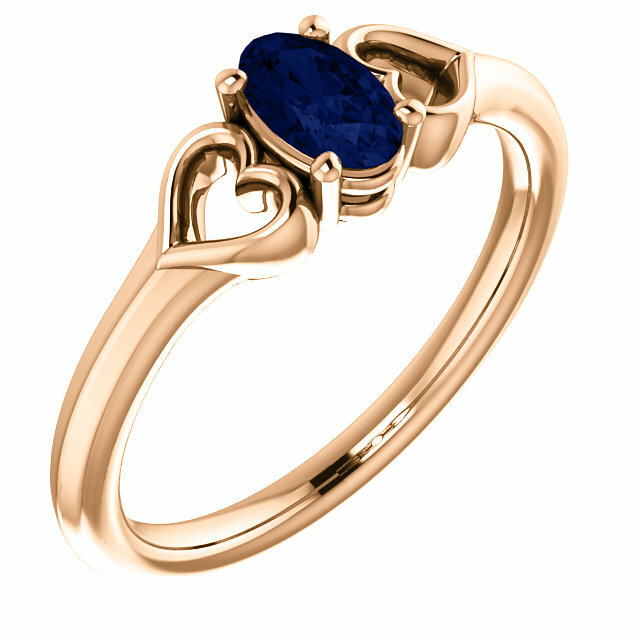 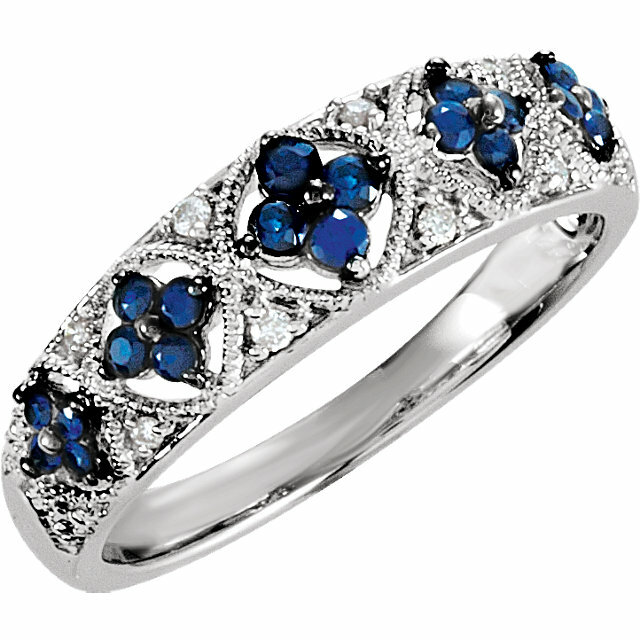 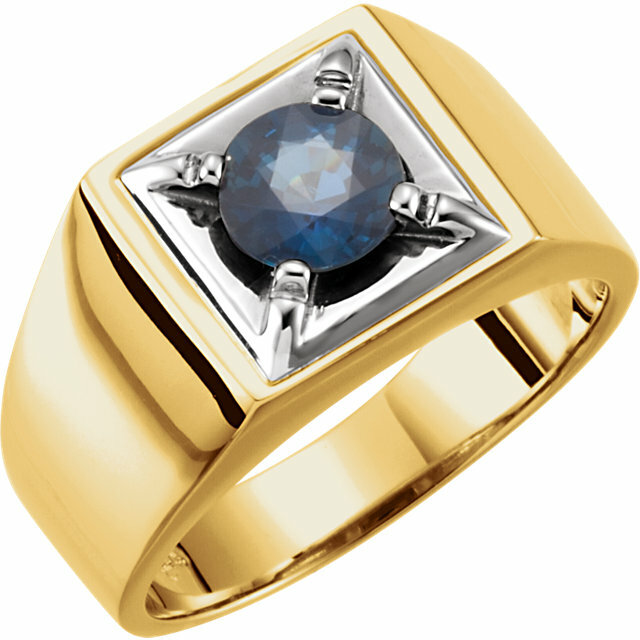 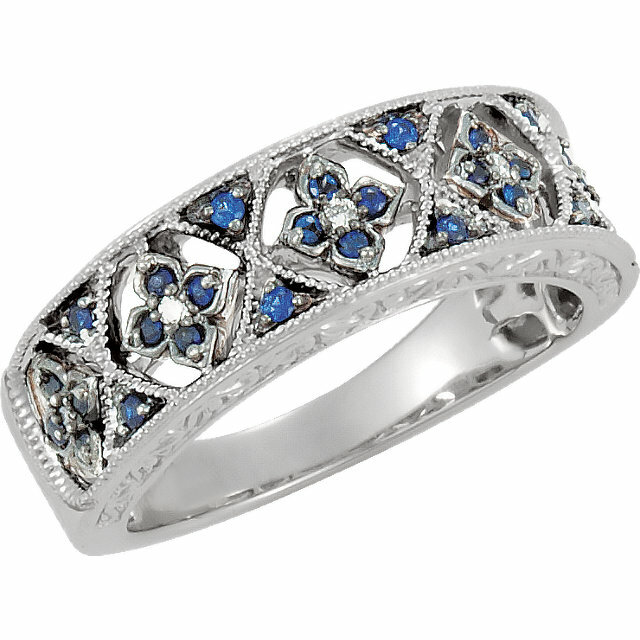 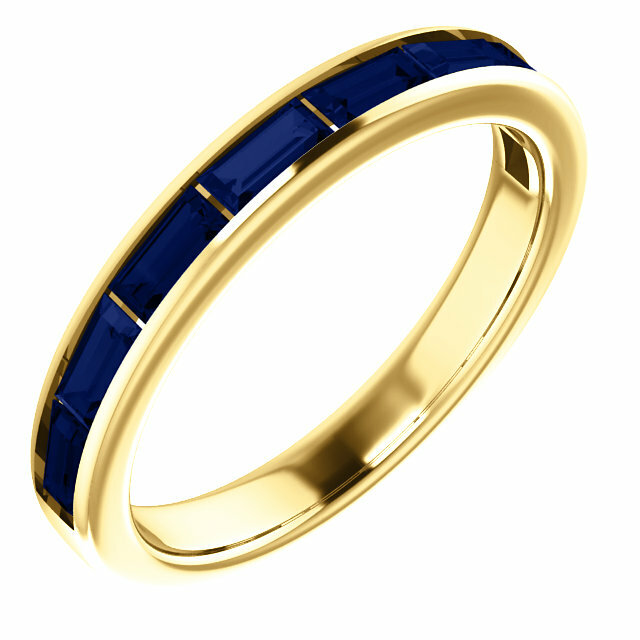 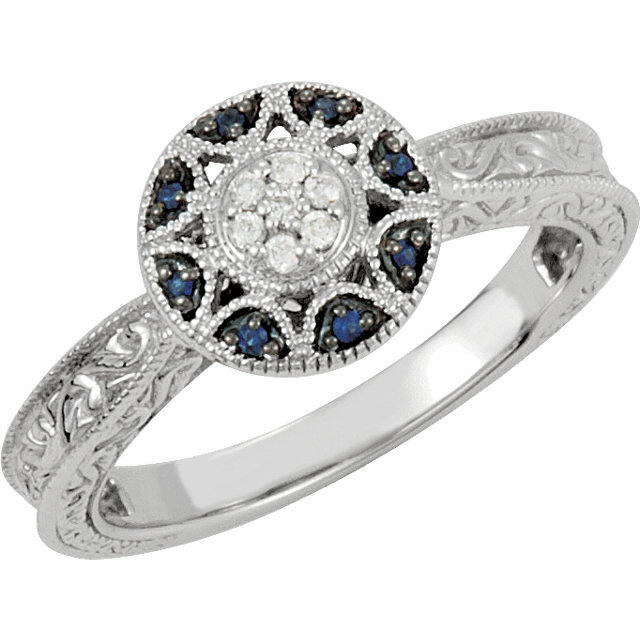 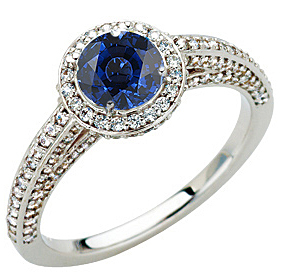 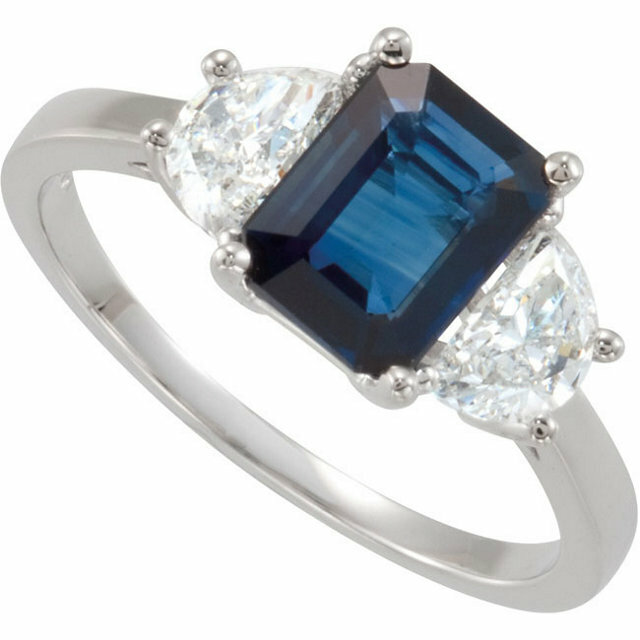 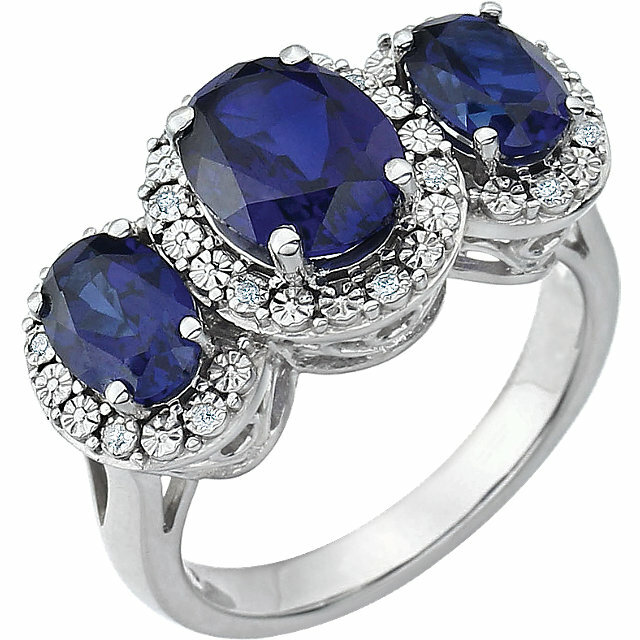 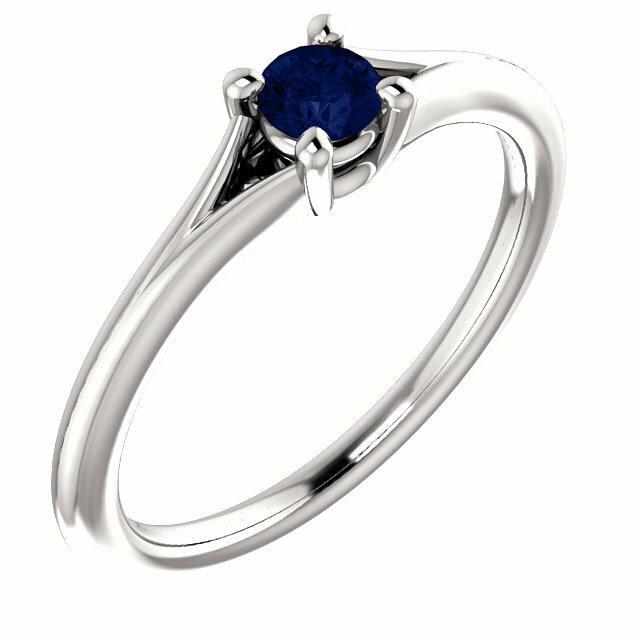 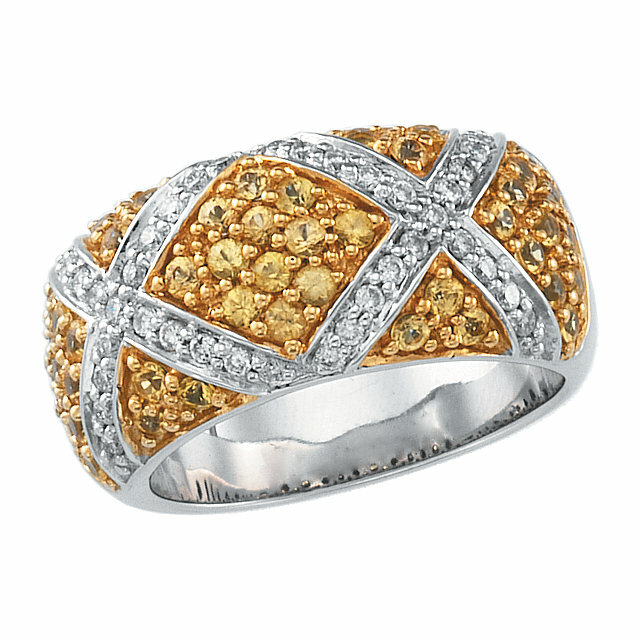 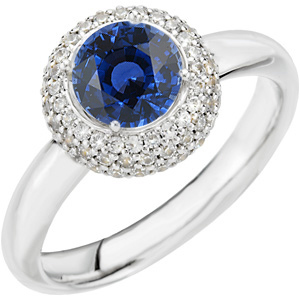 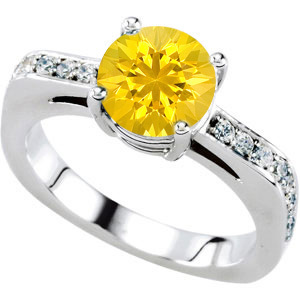 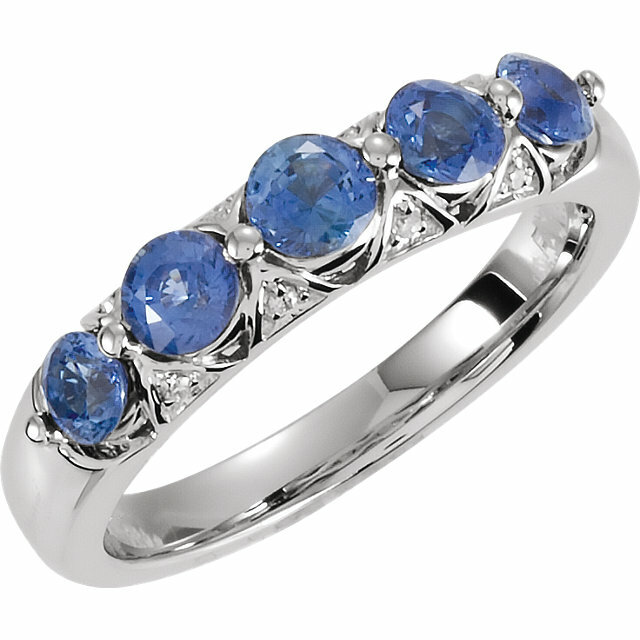 So if you want to bring out the shine in your sapphire gem consider a sapphire platinum ring over yellow gold. 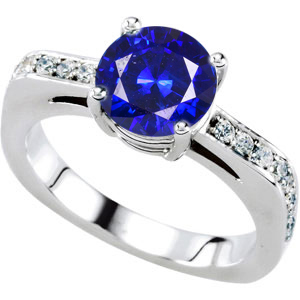 In the end, however, no matter what type of blue sapphire jewelry you choose it�s usually a hit with the receiver. 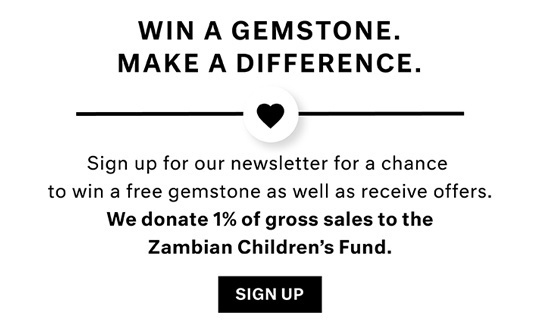 AfricaGems.com has one of the largest selections of fine quality blue sapphires of all sizes. 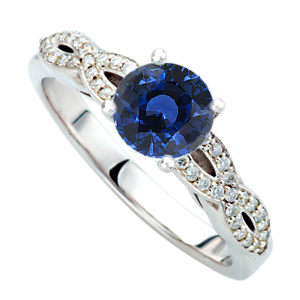 We have more than 300 individual blue sapphire gems ready to ship. 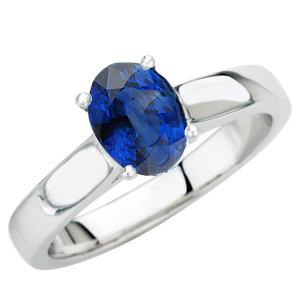 Please view our selection of fine quality Blue Sapphire Gemstones . 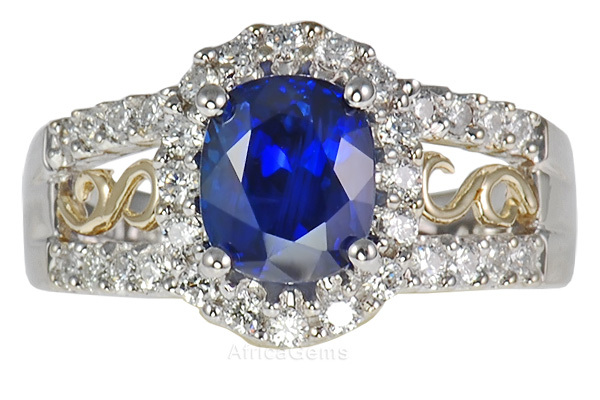 The most important considerations for the evaluation and valuation of a sapphire, both blue and fancy color is color, size and clarity. 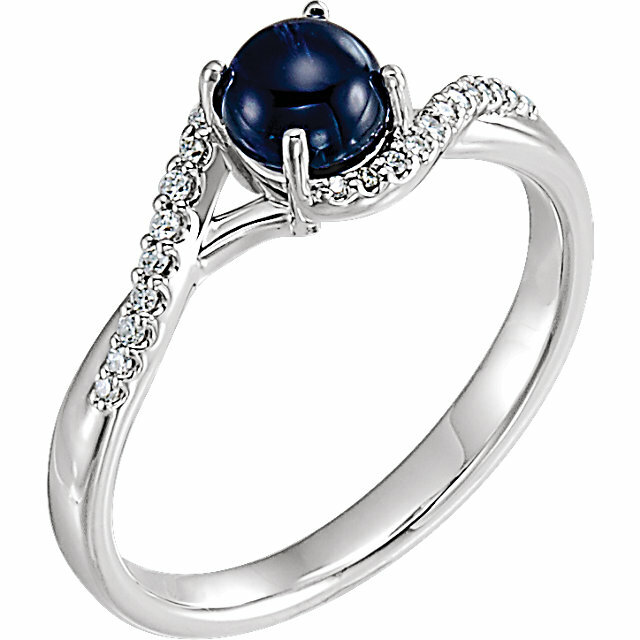 Sapphire gemstones also are evaluated by the source of origin. A Burma or Kashmir sapphire gemstone will have a higher value than a Sri Lankan sapphire of equal quality. 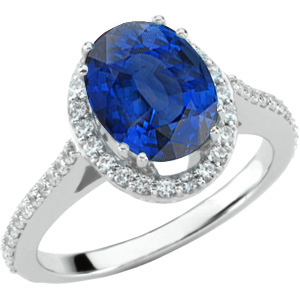 Source can be determined by gemological tests so this has become an important criterion in valuation of very fine, larger gem sapphires. 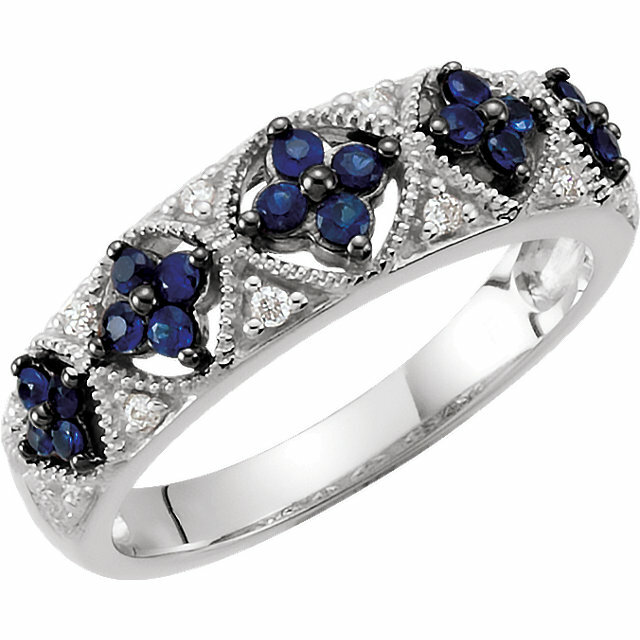 The treatment of sapphires also plays an important factor. 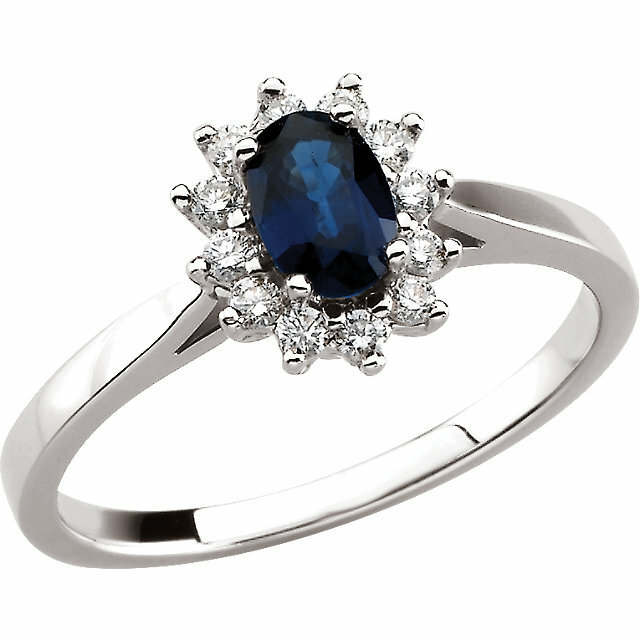 Natural, untreated sapphire gemstones will have a higher valuation than a similar quality heat treated sapphire as they are much rarer.